The Steam community loved the concept behind the prison break game. Good news for prison break fans, The Escapists was among the games Greenlit onto Steam by Valve in their last batch- which is surprising since it had only been running for four days! 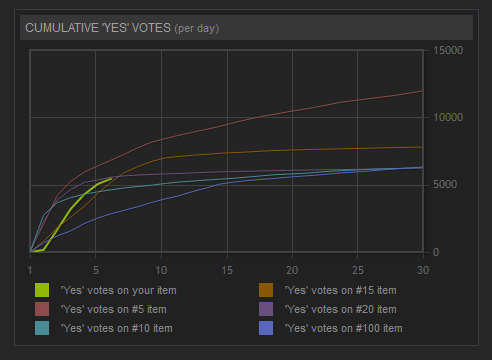 Although it didn't even reach the top 100, the game project page had accumulated overwhelming interest and positive votes at an impressive speed- and Valve noticed. The graph below highlights the progress. The game is currently being funded on Kickstarter and will be available on Steam next summer.